Sizing: Size 4 to 20, I made a size 12 according to the pattern measurements. I probably could have tapered the waist to a 10 but I really like the look so I left well enough alone! Instructions: They were very good, nice instructions for piping, the visual diagrams were helpful. The patterns are geared to more beginner sewers (in my humble opinion) and they do a nice job in this area. Plus, a beginner (new) sewer will get a fashionable garment with this pattern. Likes/Dislikes: I have always liked the lines of this pattern and the neckline. I was looking through my patterns and my fabric trying to decide what to make next. I found this linen and I had off-white on my serger so my decision was made. After finding the linen, I knew 2927 was the pattern of choice. 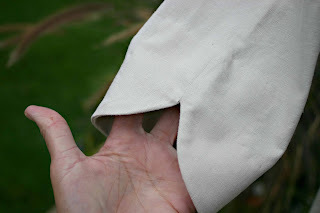 Another like, this is a relatively quick garment to make even with the piping. I haven’t sewn with linen for quite some time and I was reminded how much I like this fabric. Changes: I left off the peephole as suggested in this review I also used an invisible zipper. Fabric: A linen in my stash. The piping is a brown and cream striped shirting I just purchased. I didn’t have cording for the piping so I used premade cream piping and covered it with the shirting. The button was in my button stash. Conclusion: Very pretty top, retro feeling and it looks great on. The neckline is more of the 1960’s Jackie-O look. My matched yoke and piping - first time, yea for luck! Now a big thank you to Robin. 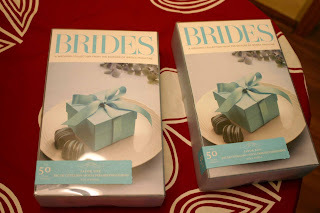 She read my post on the favor boxes and found 2 sets at her Michael's. Very nice. I like the piping and button contrast. Oh, the piping really makes that. Really nice. That is just superb, you did an excellent job Lori! Love the lines. 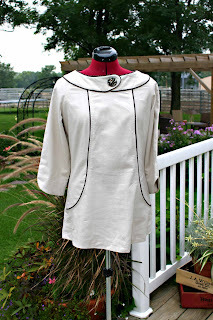 Gorgeous Tunic Lori...the piping is PERFECT! Wow, that is very striking. That's wonderful, Lori! I love, love, love, the piping and button. Good job. Cute! Get one of your girls to take a photo of you wearing it; I'm curious to see what it looks like on you. 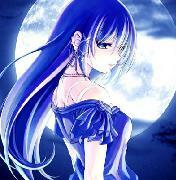 That is very pretty! I love the style and the colors you chose for the fabric and piping. Glad someone found the boxes for you. I looked last week at Michaels and they didn't have any here. Really cute, Lori! I love the piping. I have this pattern, too. I intended to make the dress version. What kind of pants will you wear with this tunic length? Oh wow.... 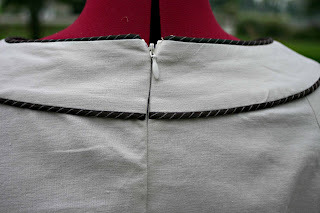 I just saw your picture of the back yoke/zipper. WELL DONE!!! Looks perfect! I'd like to see a picture of you in it also. It's hard to tell what it looks like on the dummy. I like the pipping- it's cute. Beautiful top - your piping is perfect! Wow!! Great top, the piping is PERFECT! I've got this pattern, so your review is a great help! I'm in awe! What a fabulous looking top! Beautiful! Thanks for reminding me that I have this pattern in my stash (somewhere...)! I like it without the keyhole, it'll be wearable much longer this way. This looks great. I have this pattern and have debated on whether to make a dress or tunic. I love the piping you used. I really like the whole look. I think I may need to try a tunic. I found your blog from Pattern Review. I love your tunic. I just bought this pattern today and I'm so glad to find out I don't have to sew the peep hole. I like your tunic better than the one on the pattern cover. Your piping is perfect and really makes the top!